The requirement will apply to not only single-family homes, but also multi-family buildings up to three stories, including condos and apartment complexes. The mandate is expected to lead to a 14-percent increase in solar installations on residential buildings between 2020 and 2023. According to the commission, the mandate will add an average of about $9,500 to the upfront construction costs for single-family dwellings but result in almost $20,000 in energy savings over a 30-year period. Therefore, the monthly costs are only about half of the monthly savings over the course of a mortgage term. The biggest impact could be felt by those living in rental housing, who previously have had few options when it comes to solar energy. After all, 40 percent of U.S. households live in rental housing – 60 percent of whom live in multi-family housing. Still, property managers may be less inclined than homeowners to install a solar-panel system because they think they’ll see less direct savings. Plus, much low-income housing is subsidized by HUD, so local housing authorities have little incentive to invest in cost-reduction technology. A study from the National Renewable Laboratory found that nearly half of all residential rooftops in the United States that are capable of effectively supporting solar technology are actually those found on dwellings of low-to-moderate income households. At the same time, according to California’s Grid Alternatives, a program working to increase access to renewable energy, low-income households – those with annual incomes less than 80 percent of area median income – typically spend a higher percentage of their income on energy costs, so they can benefit the most from the utility bill savings generated by solar power. It’s unfortunate then, that this same group has probably the least access to solar energy and its savings. The solar boom isn’t isolated to the west coast, either. As solar regulations have eased, and prices have decreased, many New York homeowners have started utilizing solar energy. But the benefits haven’t extended much to those living in apartments – a hefty population in the region. Now many New Yorkers who live in buildings without solar panels can join a community solar group. These groups allow people to lower their electricity bill by connecting to solar panels located elsewhere from their dwelling. Brooklyn’s four-story HDFC co-op installed an array of solar panels on its roof and implemented a community share program for its residents, covering the entire electric bill for every unit. After incentives, the co-op will recoup its initial investment in just one year based on its own savings. Residents will also receive a tax credit just as though the panels were right above their heads. A growing number of nonprofit organizations hope to increase the usage of solar panels among New York’s multi-family housing communities, but their path is not without hurdles. Most of New York’s multi-family buildings have flat roofs, which makes installing solar panels in accordance with the local fire code more difficult. Fortunately, one innovative company developed a solar canopy designed specifically for the flat rooftops in New York City. Meanwhile in the Midwest, a Minnesota real-estate developer recently completed a multi-family solar project consisting of more than 1,400 panels installed on 55 townhouses, a clubhouse and a five-story apartment building. The amenity is expected to attract enthusiastic renters to the community. Further west, the Housing Authority of the City and County of Denver has been working for several years to make solar power available in low-income neighborhoods. 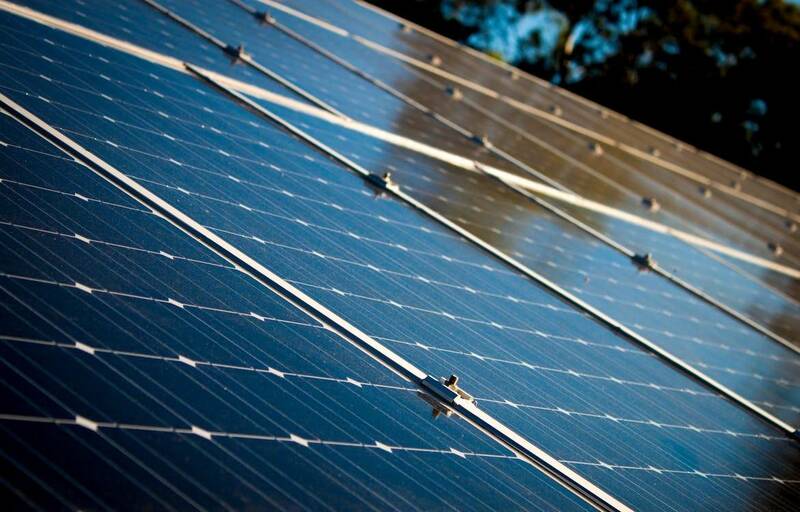 Through its power purchase agreement, the DHA implemented about 660 solar systems and shared the utility savings with HUD by accepting fewer utility subsidies. DHA is also building an innovative community solar system that will power about 700 low-income housing units located throughout the local area. A net metering program will allow the DHA to distribute energy generated in its solar garden toward the bills of various properties. Similar community solar projects are being launched to assist low-income communities throughout the nation. The Solar Energy Industries Association is even creating a model community solar master, as well as individual, subscription agreements with legal experts, developers and other professionals. In fact, the American Council for an Energy-Efficient Economy purports the use of solar energy for greater efficiency may save many renters from the accelerating disappearance of affordable housing. The group conducted a study of several affordable multi-family buildings whose owners invested in solar energy projects. As rents, groceries and other costs increase, the study found a disappearing electric bill provides renters a great incentive to choose one apartment over another. Therefore, building owners are combining their routine energy upgrades with the installation of rooftop solar systems. The cost of solar energy upgrades are dropping rapidly – the average residential system has decreased by more than $40,000 in 2010 to less than $17,000 in 2018. Still, the upfront costs for housing providers to complete solar upgrades to their HVAC systems remain a major hurdle for those who can’t distribute the costs among a large number of tenants. Fortunately, even owners of smaller multi-family buildings can utilize the HUD’s low mortgage insurance premiums for green energy-efficient housing, and certain low-income housing developments can qualify for other financial incentives to reduce a building’s energy use. Of course, the federal tax credit for renewable energy investments remains in play and continues to offer the greatest incentive to many. Of course, it is scheduled to start dropping from its current 30 percent until it reaches just 10 percent by 2022, so time remains somewhat of the essence.